We are pleased to announce details of our 2018 Floral Art Competition. This is the third year of the competition, which in 2017 drew 108 entries from across the region with the youngest entrant being two years of age and the oldest eighty-seven! The winners will be publicly displayed during Dementia Awareness Week (21st – 27th May) 2018. As usual we will be inviting some schools and care homes to take part but we also encourage any person interested in promoting a better understanding and awareness of dementia to take part. All we ask is that you design a colourful forget-me-not shaped flower (we can send you a template) no bigger than A5 to help us create a greater awareness of dementia. We would like as many people as possible, children and adults, to send their designs (you can see an assemblage of last year’s entries below on display during the Tour de Yorkshire) by the closing date of Friday 6th April 2018. You will find the very simple rules and categories below. Size – we ask that the forget-me-not flower is no larger than A5 and can send you a template if you wish. Materials – You can use an material to create your flower paint, collage, wool, card etc. Colour – Your entry should be recognisable as a forget-me-not flower which is predominantly blue. However feel free to use your artistic flair to add touches of colour, glitter or a message about dementia to enhance your design. Categories – We apply different categories for children and adults so if you are under eighteen please mention your age. If this is not included we will assume you are an adult. Details – Please let us know your name, address and contact details written clearly on the back of the entry so that we can assign to an appropriate category for awarding prizes…and let you know if you are lucky! Submission – 2019 entries now closed – judging currently taking place. 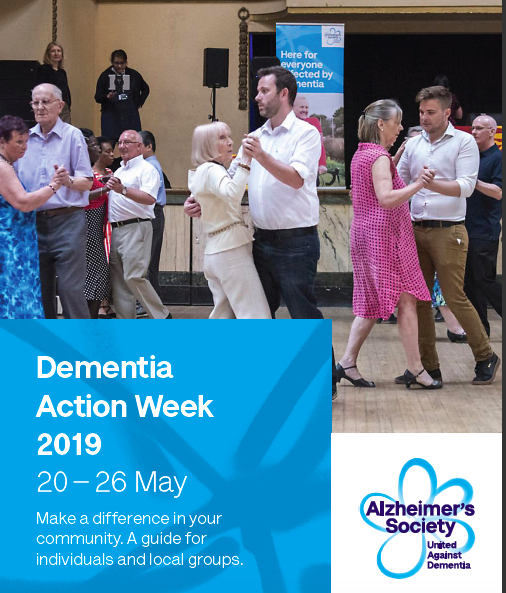 Display – The entries will be displayed publicly during Dementia Awareness Week; 20th – 26th May 2019. An announcement of where this will be will be made closer to the time. We like to acknowledge all entries with your first name and initial letter of your surname but if this is something you would rather we didn’t do then please let us know. And the winners are…? – All winners will be published on this website in due course. Good luck to you all that have entered this years 2019 competition….